For the second time in just a few hours, the United States showed Canada who’s best on ice. The United States upset the three-time defending champion Canada in the men’s curling Olympic semifinal, 5-3. John Shuster and company will face Sweden in the gold medal match, to be played at 1:30 a.m. EST Saturday morning. The crucial moment came in the eighth end. Canadian skip Kevin Koe came up well short on his final shot, giving the U.S. a two-stone steal for a 4-2 lead. The U.S. held Canada to a point in the ninth, then controlled the 10th end to win the match. 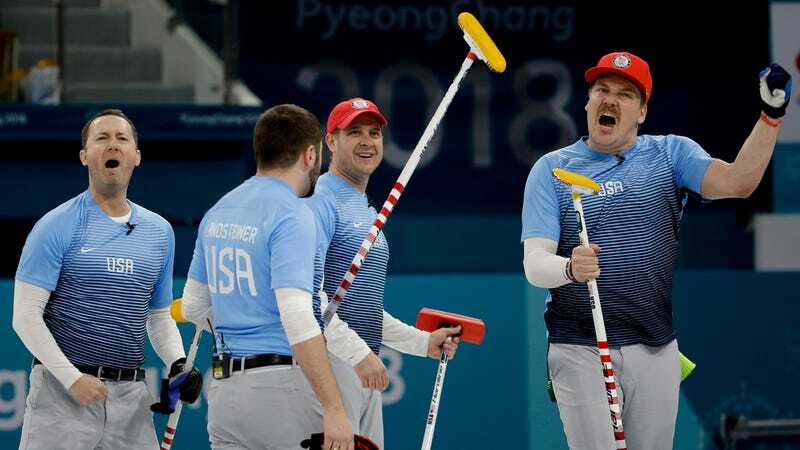 Shuster, who was part of the team that won bronze at the 2006 Olympics, will head to the gold medal game with the U.S. assured of its best medal result ever. Canada will play Switzerland for the bronze.